Below you’ll find a selection of the latest grants, jobs, webinars and events posted to our Opportunity Board. Please share the Reclaiming Futures Opportunity Board with your colleagues in the juvenile justice, adolescent substance abuse and teen mental health areas. It’s free to browse and post! The Center for Juvenile Justice Reform (CJJR) at Georgetown University‘s McCourt School of Public Policy has announced that the application window for the 2015 Reducing Racial and Ethnic Disparities in Juvenile Justice Certificate Program is now open through May 15, 2015. The Reducing Racial and Ethnic Disparities in Juvenile Justice Certificate Program, held August 3-7, 2015, is an intensive training designed to support local jurisdictions in their efforts to reduce racial and ethnic disparities in their juvenile justice systems. The program is operated jointly by the Georgetown Center for Juvenile Justice Reform and the Center for Children's Law and Policy. 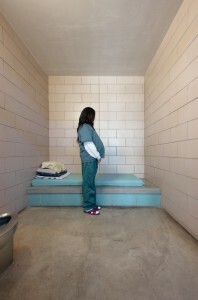 Unnecessary entry and movement deeper into the juvenile justice system for youth of color. Through the examination of the key decision points in the juvenile justice system, the program’s curriculum provides participants a better understanding of the disparate treatment of youth of color may be experiencing as compared to white youth within the juvenile justice system. The program will also focus on the relationship between disproportionality in the juvenile justice system and disparate treatment in other child serving systems, including child welfare and education. After completing the program, participants will be responsible for the development of a capstone project – a set of actions each participant will design and undertake within their organization or community to initiate or continue collaborative efforts to reduce racial and ethnic disparities in the juvenile justice system. Visit the CJJR website where you will find further information about the program, including how to apply, tuition, and available subsidies for those with financial need. Questions can be sent to jill.adams@georgetown.edu. Emerging leaders age 17-25 interested in juvenile justice reform will convene at the 2015 Juvenile Justice Youth Summit, co-hosted by The Coalition for Juvenile Justice (CJJ) and the Office of Juvenile Justice and Delinquency Prevention (OJJDP) (OJJDP). The two-day summit—"The Time is Now: Creating Change with Young Emerging Leaders"—takes place July 23-24, 2015 in Washington, DC. Hill Day on July 23, 1:30pm - 3:30pm ET - Attendees receive training on legislative advocacy, develop talking points, and visit their members of Congress or their staff to discuss juvenile justice reform and urge them to act on the issue. Job Shadowing on July 24, 1:40pm - 3:40pm ET - Attendees will be matched with a juvenile justice professional who is working in a role/issue of their interest. Attendees will shadow the professional for a few hours to get a sense of what a career might look like in that field. Help identify emerging leaders in juvenile justice, and encourage them to register for the 2015 Juvenile Justice Youth Summit. We can help foster the next generation of leaders who will ultimately impact the future of juvenile justice. Registration is now open. Register by April 30 for get the early bird discount rate. All participants that register during the early registration period or using the non-member rate will receive a complimentary CJJ membership. CJJ has a room block reserved at The Liaison Hotel for $189/night. To make your reservation you can call (866) 233-4642 or click here. Please reference the "Coalition for Juvenile Justice" group when making reservations or provide the following reservation ID: 15CJJ. Contact Jonathan Litt, CJJ's Field Relations Associate, at litt@juvjustice.org. Translational research is concerned with moving basic (“bench”) research to clinical and ultimately practical benefit (“bedside”). If research can in fact demonstrate beneficial outcomes, then it may even lead to policy changes. Approximately 30 percent of the country’s incarcerated youth are young girls—a rapidly growing group whose needs are not being met, according to significant research and practice indicating the juvenile justice system is catered towards boys. Photographer Richard Ross has sought to display this through images. Over the past eight years, Ross has visited more than 200 facilities in 34 states and been given rare access to interview and photograph more than 1,000 young people in detention. His work has resulted in two books Juvenile in Justice and the more recently released Girls in Justice—a close look at the daily lives of young women in juvenile facilities. The stories he’s heard have been heartwrenching. Among countless stories of physical, sexual and emotional abuse, one 14 year-old girl recounted being raped at age 3, another admitted to being suicidal. When asked what surprised Ross most about his project, he didn’t hesitate: “How many times I’ve cried,” he said. See the full photo essay and interview on PBS. “NCCD strongly believes that Pay for Success creates a real possibility for sustained, positive change in the child welfare and juvenile justice systems,” said Kathy Park, acting president of NCCD. “We are proud to work with these three extremely dynamic programs to see if this innovative financing will work for them. A bill making its way through the state legislature would cut down on how often State Attorneys can charge juveniles as adults. Under the proposal, it would take a grand jury to charge anyone under the age of 13 as an adult. Prosecutors would only be able to charge 14 and 15 year olds as adults in cases of murder, manslaughter, and sexual assault. Please share the Reclaiming Futures Opportunity Board with your colleagues in the juvenile justice, adolescent substance abuse and teen mental health areas. It's free to browse and post! On a small stage, seven local teens stood in scrubs -- their backs to an audience of about 75. One by one, they turned around, each somber or angry or both as they told stories of juvenile lockdown and the reasons that got them there. Drugs, truancy, rules, respect, depression and decisions … each story is laced with regret -- each author feels misunderstood -- and most tell of trouble at home. The Advancing a Healthier Wisconsin (AHW) Endowment awarded $250,000 over two years to reduce the prevalence of alcohol and other drug abuse among youth in northwest Wisconsin’s Rusk County. The Medical College of Wisconsin is the steward of the AHW Endowment as it works to catalyze health improvement within the state. Dr. Elmaadawi is concerned mainly for teen use. He says there is proven research marijuana can be healing to cancer patients and others suffering from chronic pain, but use for teens is dangerous. He says those who try the drug before age 18 are 67% more likely to continue using. The number drops to 27% for adults who try it for the first time. Youth violence in the U.S. is the third leading cause of death for young people between the ages of 15 and 24—one of the many reasons National Youth Violence Prevention Week seeks to educate students, teachers, school staff, parents, and the public on effective ways to prevent or reduce youth violence. 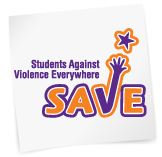 Taking place next week, March 23-27, 2015, Youth Violence Prevention Week is founded by The National Association of Students Against Violence Everywhere (SAVE). The initiative kicks off with the 15th SAVE Summit March 21, and expands nationally next week to encourage communities to host events and workshops engaging students in the fight to stop shootings, bullying and other violence in our schools using the planning tools and resources in SAVE’s Action Kit. On average, 1,642 young people 10 to 24 years old had physical assault injuries treated in U.S. emergency departments EVERY DAY last year. Between 20 and 33 percent of U.S. students say they have been bullied at school. 70 percent of young people say they have seen bullying in their schools. About 17 percent of high school students in 2013 reported taking a weapon to school. Monday, March 23: Promote Respect and Tolerance day is hosted by Teaching Tolerance, an organization dedicated to reducing prejudice and supporting equitable school experiences for children. Schools can hold a cultural day to celebrate activities, dress and customs from groups around the world. Tuesday, March 24: Manage Your Anger, Don’t Let It Manage You day is hosted by the American School Counselor Organization, which supports school counselors' focus on student development. This day challenges students to create signs or codes to use to communicate when they are angry so they do not let it get out of control. Wednesday, March 25: Resolve Conflicts Peacefully day is hosted by the Gay Lesbian & Straight Education Network, which aims to ensure each member of every school community is valued and respected regardless of sexual orientation or gender identity. Students can observe conflicts and engage in group discussions to find effective ways to resolve them. Thursday, March 26: Resolve Conflicts Peacefully day is hosted by the School Safety Advocacy Council, which provides training to school districts, law enforcement agencies and school safety professionals. School administrators will be challenged on this day to conduct a survey to assess students’ perceptions of safety during the school day and ask for suggestions to improve. Friday, March 27: Unite in Action day is hosted by Youth Service America, which increases the number and the diversity of volunteer opportunities for youth around the globe. To wrap up the week, a final challenge will work to “beautify” the school or community by cleaning up graffiti/vandalized areas. The Campaign for the Fair Sentencing of Youth (CSFY) has released the first-ever set of guidelines to protect the rights of young people facing possible life imprisonment. Titled “Trial Defense Guidelines: Representing a Child Client Facing a Possible Life Sentence,” this 24-page report has been endorsed by a wide range of attorneys, child advocates and juvenile justice experts. CFSY collaborated with attorneys and advocates from across the nation to create the guidelines. Visit the CFSY website for more information and access the full guidelines online. The state House of Representatives passed a bill revising the juvenile justice system in South Dakota. It focuses on alternatives to incarceration and seeks to keep kids in their communities. Senate Bill 73 comes as a result of a work group that met last year. The group found that South Dakota has one of the highest rates juvenile incarcerations, and the bill aims to reduce those numbers. Representative Brian Gosch is a prime sponsor of the measure. He says it creates a presumption of probation. Texas voters support sending nonviolent drug offenders to treatment instead of jail, according to an opinion poll from Right on Crime, a national campaign for criminal justice reform. Voters also support decriminalizing school truancy, according to the poll. Last month, The Chronicle of Social Change began “Positive Youth Justice: Curbing Crime, Building Assets,” a series that imagines an entire continuum of juvenile justice services built on the positive youth development (PYD) framework. We accomplish the “creation” of that continuum by profiling successful programs and organizations all over the country. Today, we look at Santa Clara County, Calif., which takes a PYD approach to working with incarcerated juvenile offenders. Nevada's only maximum security juvenile correction center is closing after the private non-profit contractor hired to run it repeatedly ran afoul of safety and civil rights requirements, state officials said Tuesday. Raising the age for sale of tobacco across the United States could prevent substantial numbers of teenagers from beginning a smoking habit, an influential panel of scientists reported Thursday. In the past, rural teens have been more likely to kill themselves as compared to their urban counterparts. Is the same true today, now that technology has woven us together more tightly? Sadly and surprisingly yes: Between the years 1996 and 2010, a new study finds, the rates of suicide among teens and young-adults ranged twice as high in country settings compared to city areas. In fact, the suicide rate in rural areas is nearly double that in cities... and rising. Doctors and other health professionals have a new tool to help fight suicide -- an app that helps them ask the right questions and check the symptoms of someone who might be at risk. Nearly half of people who die from suicide have seen a health professional of some sort in the month before their deaths and there are ways to find out who might be at risk and help them, the Substance Abuse and Mental Health Services Administration (SAMHSA) says. Though alcohol and marijuana top the charts as the two most-abused substances by young people, synthetic drugs—the highly-addictive and highly-threatening substances—are still popular and easily accessible. Beginning April 8, the Office of National Drug Control Policy will host two webinars to discuss the dangers of synthetic cannabinoids (“Spice”) and cathinones (“Bath Salts”), and to provide details on Federal and local efforts to confront these threats. The first webinar, featuring representatives from the National Institute on Drug Abuse (NIDA) and the Drug Enforcement Administration, will introduce these substances, and share insight into the manufacturing, distribution and health risks associated with synthetic drugs. It will also explain the Federal regulatory provisions and enforcement actions. The webinar will take place on Thursday, April 8, from 1-2 p.m. ET. To register, click here. The second webinar, taking place later this month, will highlight case studies that demonstrate successful community initiatives to prevent use and distribution of synthetic drugs. Watch for details on the second webinar in the next issue of ONDCP’s E-Newsletter Update. Sign up here. According to the National Institute on Drug Abuse, use of spice products (sometimes called “synthetic marijuana”) is declining, with 5.8 percent of 12th graders using the substance in 2014, compared to 7.9 percent in 2013 and 11.3 percent in 2012. And, less than one percent of 8th, 10th and 12th graders combined use cathinones (“Bath Salts”), which have been reported to result in sometimes violent behavior and even death. 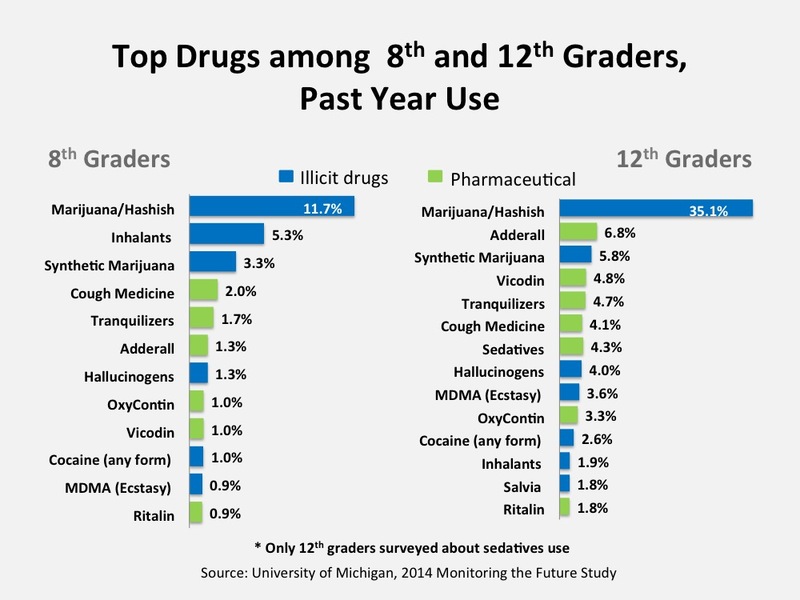 It’s easy to see these low percentages and think that these synthetic drugs aren’t cause for concern, but in fact the impact of these scarcer drugs can have greater negative impacts on young people’s futures. Webinars like this ONDCP series are instrumental in informing mental health and juvenile justice professionals on the latest medical information related to new drugs, which can inform treatment programs on how to adapt to best serve youth. The National Center for Juvenile Justice (NCJJ) has released Juvenile Offenders and Victims: 2014 National Report, the fourth edition of a comprehensive report on juvenile crime, victimization, and the juvenile justice system. This seven-chapter report, sponsored by the Office of Juvenile Justice and Delinquency Prevention, provides sought-after answers to frequently asked questions about the nature of juvenile crime and victimization, as well as the justice system's response. Each chapter presents important and complex information in easy-to-understand, nontechnical writing with supplementary graphics and tables. The juvenile arrest rate for Violent Crime Index offenses is at a historically low level. The number of murders committed by juveniles is at its lowest point in at least three decades. The juvenile court delinquency caseload reached its lowest level since at least 1990. Female juveniles account for a larger share of the delinquency caseload than at any point in the last two decades. The juvenile residential placement population reached its lowest level in nearly two decades. The goal of the report is to provide juvenile justice practitioners, policymakers, and the public with the information needed to react appropriately to the needs of youth in the system while also protecting the community. It successfully provides the context needed for debates regarding juvenile justice and the direction of its future. View the full report on the NCJJ website. Seeing the charge of aggravated robbery involving a gun, a judge at the Lucas County, Ohio, juvenile court held him in pretrial detention for two weeks. Then she found out what weapon he had pulled: a BB gun. Over the next few weeks, while he remained locked up, she learned that Treyvon had a number of characteristics that took him out of the category of high risk for reoffending – a stable home life, his involvement in football and basketball, and a lack of gang involvement. So the judge let him live at home while on probation and take part in a local program that offers mentoring and other social services. After 10 years as chief of the St. Mary’s County Detention Center, Capt. Michael Merican is in a situation he says isn’t just difficult, it’s impossible. Merican pays close attention to the needs and well-being of 200 inmates, but one causes him constant worry: a terrified 17-year-old boy. "We've been doing this work now for decades as we've worked to support children who are first-time offenders," said UMBC President Freeman A. Hrabowski III, "and we believe the model has the potential to help children and families around the country." Judge Denise Cubbon, the lead judge of the Lucas County Juvenile Court, in Toledo, Ohio, breaks that mold. Along with her Court Administrator, Deborah Hodges, Judge Cubbon has become a champion for change, for some of the country's most vulnerable offenders: Children. Since July 2013, San Diego County Office of Education has spent nearly $900,000 on computers, printers and software for its secure juvenile facilities. Soon every one of the 200 kids here will have access to a Chromebook in class. All the teachers are being trained to run a digital classroom and add tech to the curriculum. The "Boys of Bate" is a story of hope and transformation, and for the 18 New Jersey teenagers who made the movie, work on its filming and production helped them to face their addictions and save their lives. 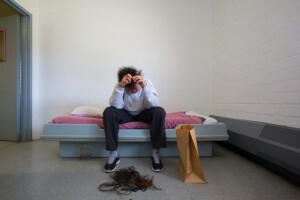 "Nationally, between 60 to 70 percent of kids in the juvenile justice system have a mental health disorder and roughly 90 percent have experienced at least one traumatic event," said Terri Williams, deputy secretary of the Kansas Department of Corrections in a news statement from July 28, 2014. All Kinds of Therapy is an innovative, user-friendly website that focuses on providing an interactive directory for residential treatment, wilderness therapy, therapeutic boarding schools, and addiction treatment for clients ranging in ages 10 - 30. Additionally, all residential interventions on the site have a wide variety of specializations including psychiatric assessments, anxiety, ADHD, autism spectrum disorders, severe learning disabilities, drug rehabilitation, failure to launch, adoption, or recovery. 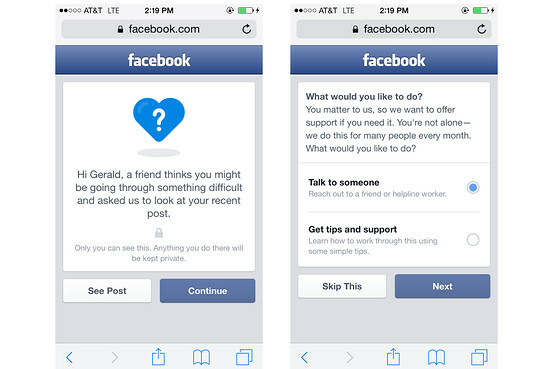 Last week, global social media leader Facebook announced that it will roll out a new feature designed to enable friends to help friends struggling with suicidal thoughts. It stems from the knowledge that Facebook users often share deep, personal thoughts on the channel, and sometimes, this includes thoughts of despair or hurt. The effort is in partnership with our friends at Forefront: Innovations in Suicide Prevention, an interdisciplinary organization based in the University of Washington’s School of Social Work, as well Now Matters Now, the National Suicide Prevention Lifeline, and Save.org. If a Facebook user posts something to the channel that signals that they may harm themselves or are in need of help, his or her Facebook friend now has the ability to “report” it for the social networking service. A team at Facebook will review the post for legitimacy and, if pursued, Facebook will offer to connect the person in need with a helpline worker, as well as recommend resources to learn how to get help. The new suite of Facebook tools were created with expert input from the mental health organizations listed above, as well as from people who have lived through self-injury or self-hurt. The suicide prevention tools offered by Facebook will reach the channels 1.39 billion users worldwide. Not only does this bring mental health to the forefront as an important discussion as a whole, but it also identifies the need for mental health professionals to think more critically about the intersection of mental health and social media. It begs the question: How can we more effectively reach teens where they already are to improve mental health outcomes? A recent study from BI Intelligence reports that Facebook remains the top social network for teens, with nearly half of teen Facebook users say they're using the site more than last year. That being said, we’re also seeing smaller, growing social media channels emerge among teens. On Tumblr—a microblogging platform—46 percent of users are between the ages of 16 and 24. That demographic also dominates on Snapchat, a photo messaging app. We admire Facebook’s initiative to partner with leading mental health organizations to develop a tool that may help our teens improve mental health, and encourage leaders to continue keeping their fingers on the pulse of social media tools and techniques that teens are using. Understanding their behaviors will help us develop strategies to more effectively reach teens and deliver support.